The liver is the largest essential organ to the internal body. It is highly specialized in filtering toxins, foreign substances, excess hormones, neurotransmitters, and other cell debris out of the blood stream to be prepared to be safely excreted from the body in one form or another. And your health is dependent upon how well your body can remove toxic substances to function. It works all day, every day, without a break. So what exactly can you do to make sure it is functioning at its highest? The liver isn’t just about removing things; it also stores nutrients and produces important proteins and enzymes. Amino acids, sugar, fat soluble vitamins (A, E, D, and K) copper, and iron are all stored in the liver. Using vitamin K, the liver produces proteins that help clot blood. It makes digestive enzymes to help breakdown food as well as enzymes that breakdown debris in the blood stream. Toxins are a huge enemy of the liver. It is estimated that on average, people living in the United States encounter over 500,000 chemicals per day; 95% of those are considered toxins. Toxins can come from food, chemicals- especially pesticides and pollutants, products you use on your skin and body and around your home and office, medications (including birth control), and even things created by your own body. Toxins enter your bloodstream through one form or another and the liver must filter them out of the bloodstream to keep other organs and their function safe. When the liver encounters a toxin, it has to go through a two phase detoxification process. The first phase converts a toxic chemical into a less harmful chemical. This uses various chemical reactions like oxidation and reduction. During these reactions, free radicals are produced. You may have heard these terms before and immediately think of antioxidants. During oxidation and reduction, free radicals are produced. Our bodies do not like free radicals; they cause damage to our cells. That is when antioxidants play a major role in making sure the damage isn’t severe. Organic fruits and vegetables are our best sources of antioxidants. The second phase is a conjugation pathway meaning liver cells add another substance (cysteine, glycine or a sulphur molecule) to a toxic chemical to make it less harmful to the body. This makes the toxin water-soluble, safely preparing it to be excreted from the body through its watery fluids. In this phase the liver turns drugs, hormones and chemicals into excretable substances. 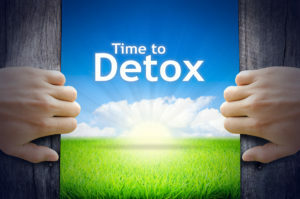 Coming in contact with over 500,000 chemicals a day, it is easy for the two phase detoxification process to be overloaded. When this happens, your health and body’s function will decline. Since many of these toxins are fat-soluble, they are stored into fatty parts of the body where they may stay for years, therefore weight gain can be a clue that your toxic load needs to be lessened. 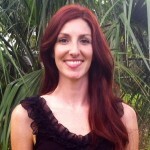 With the detoxification process being overloaded, the blood is not cleaned as well as it should be. This increases the workload of the immune system, which becomes irritated. The immune system then produces excessive inflammatory chemicals, and in some cases, auto-antibodies, due to it’s hyper-stimulated state. This may lead to symptoms of immune dysfunction. Allergies, inflammatory states, swollen glands, recurrent infections, chronic fatigue syndrome, and autoimmune diseases are all common in overloaded liver detoxification pathways. 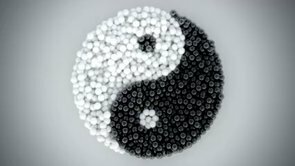 Holistic medicine such as acupuncture can help detox the liver and restore health. The Liver also regulates circulation of blood throughout the body, storing it when we are at rest. Once we arise and start moving again the blood starts to circulate. If we do not get enough rest and we are too active, the less blood the Liver will store, and the more likely disease will occur. When your liver functions optimally, moving qi and reserving blood, most of us will experience emotional harmony. However, if it is not functioning normally we will feel exhausted emotionally with prolonged bouts of sadness, anger, depression and possibly anxiety. The Liver, when not functioning properly can also impact a woman’s menstrual cycle causing PMS or disrupt your digestive system. In fact, the first indicators of stagnant Liver Qi manifests as digestive disturbance. Acupuncture points on the Liver channel can address both Liver Qi stagnation and Liver Blood deficiency, releasing stagnated areas while allowing the Qi to move freely while increasing the flow of blood throughout the body. This in turn brings on optimal health. Learn more on how acupuncture works. Fruits full of antioxidants: berries (blue-, rasp-, black-, straw-, golden-, mul-) cherries, acai, lychee, kiwi, papaya, pineapple, lemons to name a few. The biggest thing to remember when thinking of your liver is to know that fresh, organic, whole foods are the best thing for the function of your liver and essentially your body. No supplement, herb or medication can take the place of fresh, organic fruits and vegetables. If you overload your system with these things then you will not be overloaded with harmful substances. Learn about lab tests – specifically the BioHealth Labs Metabolic Assessment – that we offer to analyze how well your liver is functioning. If you’re interested to learn more about our holistic approach to restoring liver function, call us to schedule a free consultation with Robert Herbst AP, DOM to get started.